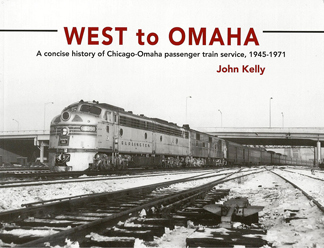 The focus of this book is the well-traveled Chicago to Omaha rail passenger corridor, from the end of World War II to the start of federally subsidized Amtrak passenger train service. This was an era when four leading Midwest railroads operated passenger routes between the two major cities, while also serving a variety of communities in Illinois and Iowa: Chicago & North Western and partner Union Pacific, Burlington Route, Rock Island and the Milwaukee. Area service once provided by the Chicago Great Western and Illinois Central is also examined. Using photos and text, the author compares how these historic railroads once operated some of the finest streamlined trains in America in order to compete for passenger revenue in the Chicago-Omaha corridor.